We could see the end of Clementine's saga sooner than we thought. 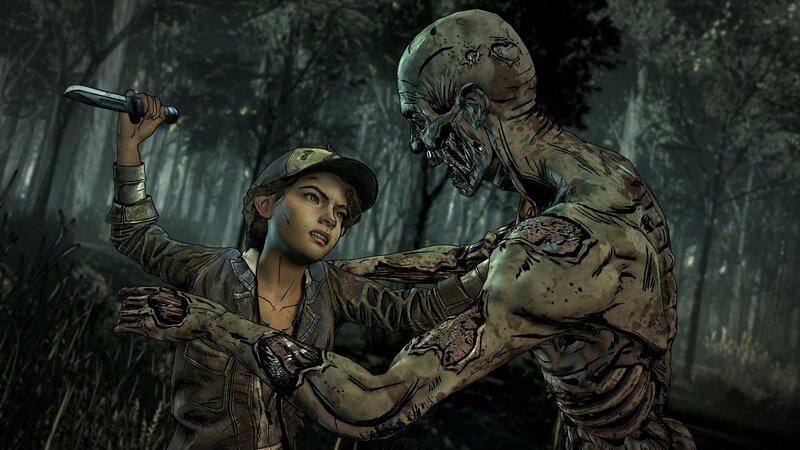 For those looking to see the end of The Walking Dead: The Final Season in full, there's good news on the horizon amidst all the frustrating developments that have surrounded the recent Telltale Games closure. As fans have been understandably frustrated that Clementine's saga wasn't going to get a proper conclusion, Skybound Games has been working on a solution to make things right again – even though it won't be erasing the issues the studio closure caused. Skybound CEO Ian Howe took to a Reddit AMA session last night to quell fans' concerns that, despite the recent issues, The Final Season is indeed going to be released, and should actually arrive by the end of 2018. "Given that you guys have been so supportive and patient, I'm going out on a limb and will say, yes, I fully expect Episode 3 to be this year and I'll be very disappointed if we can't make that happen," he said, while also mentioning that "there is no reason for us to hold that information [on dates] back," he wrote, also acknowledging that the most accurate answer wouldn't come until Skybound had some sort of idea about which developers would be returning and which others would be tapped to work on the final chapter. Howe stated that Skybound is working to get The Walking Dead's team back together, but won't be asking any of the team that does return to relocate from Telltale's offices in the Bay Area to Skybound's Los Angeles office. There will be a compromise made to find a separate location that makes sense for all parties involved. Of course, not everyone will be returning, as they've since moved on, as Howe relayed in statements via the Reddit AMA. "Quite simply, some of the team have already been offered new opportunities (which is a really good thing) so we're still figuring out who is available and who isn't," explained Howe. "It's our absolute intention to complete this story with the people who have bought it this far. We're only going to look outside of that group in situations where we have no other choice, which hopefully will be not be too often. The team must also consider the fact that the team members may also not want to come back, as they've been through "a tough couple of weeks." That's putting it mildly. "As soon as the lawyers have done their thing, we'll be able to speak more openly," said Howe of the burgeoning project. While it's mostly good news for those involved, it still has something of an air of bittersweetness, especially given the circumstances under which all this initially happened. Stay tuned to Shacknews for more updates on what's going on in the world of The Walking Dead and Skybound.